Social Security is different for teachers. It’s more complicated, and the rules aren’t always fair. If you’re a teacher, when your turn comes to file for Social Security benefits, you may need to fight for what’s rightfully yours. This topic comes up in my Social Security classes all the time. One thing is consistently clear from the comments of my attendees: the quality of information regarding the integration of Social Security and teachers’ pensions is very low. In fact, the misinformation is so bad that I sometimes wish these advice-dispensing individuals would just stop! Here’s a recent example. Before Mr. Franks worked (and subsequently retired) as a teacher in the state of Illinois, he worked for a large telecommunications company. During his 15-year employment at this company he paid Social Security tax and earned the necessary quarters for a Social Security benefit. Throughout his second career as an Illinois teacher, he did not pay Social Security tax. He did, however, retire with a teacher’s pension. As he was preparing to retire he visited with a financial advisor whom he had seen around the school where he worked. The advisor told him that since he was a teacher, he would not be eligible for any Social Security. Having no good reason to doubt this “advisor,” Mr. Franks retired and started his TRS pension. It wasn’t until he was 72 years old that he discovered he should have been receiving a Social Security benefit all along. He was livid! I’m pretty sure I’d be upset too. If you want to avoid this happening to you, there are three things you need to know about Social Security for teachers. Take a look. 1. Your Social Security benefit may be reduced. 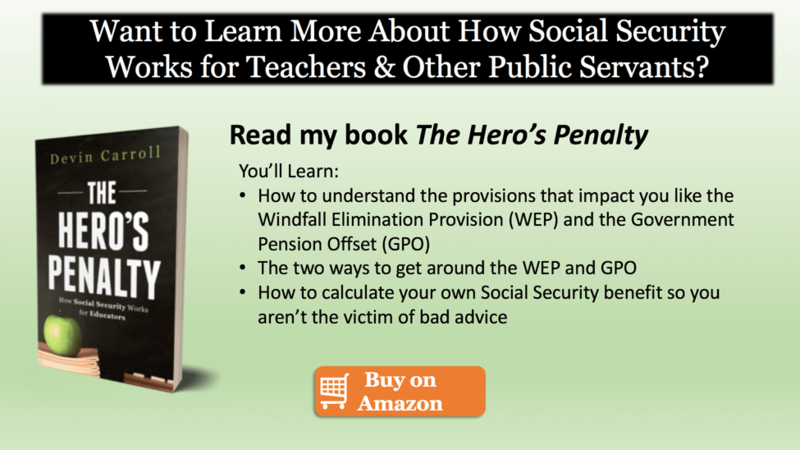 If you worked at a job where you did not pay Social Security taxes, and you receive a pension from that work, your benefit may be reduced by the Windfall Elimination Provision (WEP). This provision was intended to keep workers from “double-dipping” by receiving a pension from a job where they did not pay Social Security taxes and receiving a Social Security benefit. The maximum Social Security reduction will never be greater than one half of your pension amount. This is capped at a monthly reduction of $413 (for 2016). Here’s the takeaway. If you have a pension from work where you did not pay Social Security tax, and you are eligible for Social Security based on your work history, you should expect your benefit amount to be reduced. Also, it’s important to note that this reduction is not reflected in your Social Security benefits estimate. For a more in-depth view of the Windfall Elimination Provision, read my article: The Windfall Elimination Provision. 2. You may not be eligible for a Social Security survivor benefit. It’s unfortunate, but many retired teachers are completely surprised when their spouse dies and they find out they are not eligible for a Social Security survivor benefit. Why? A fairly well-known – but often misunderstood – rule called the Government Pension Offset will often completely eliminate this benefit. The Government Pension Offset (GPO) was enacted as part of the 1977 Social Security amendments. Like the Windfall Elimination Provision, the GPO was also meant to keep individuals from the so-called “double-dipping” (receiving both a Social Security benefit and a pension from work where they did not pay into the Social Security system). It’s important to note that the GPO only applies to individuals who are entitled to a Social Security benefit as a survivor or spouse and have a pension from work where they did not pay Social Security tax. Here’s the way it works. If you have a pension from non-covered employment (no Social Security tax paid), your survivor’s or spousal benefit from Social Security will be reduced by an amount equal to two-thirds of your pension. That’s a lot to digest, so let’s look at an example. Margie worked as a teacher for 30 years and her husband was an electrician. When she retired, she began receiving her teacher’s retirement pension of $2,900 per month. Her husband also retired and filed for his Social Security benefits of $1,900 per month. Sadly, her husband died a short five years later. This was a tough time. It didn’t help to find out that she wouldn’t continue to receive his any of his Social Security benefit. The Government Pension Offset kicked in and completely eliminated the benefits she would have received. That last number is the amount that the Social Security Administration would deduct from her survivor’s benefit before paying it to her. Since that amount is higher than the actual benefit, she receives nothing. For more in-depth reading on how survivors’ benefits work with TRS, read Teachers Retirement and Social Security Survivor Benefits. 3. You should prepare for confusion. 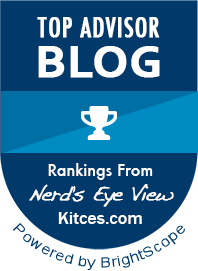 There’s no way around it, both the Windfall Elimination Provision and Government Pension Offset are poorly understood – not only by many financial advisors, but by some of the technicians at the Social Security Administration as well. As you start to seek advice, get ready for some confusion. You’ll likely hear conflicting information but don’t give up! You can find the information you need to make an informed filing decision.